X - system provides display interface between system and an user. X- windows system gives graphical user interface which makes use of system easy for the user. 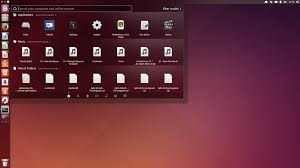 X : It provides framework to the Linux system. To work system properly its provides display, video , sound driver, all type of hardware's configuration settings like for keyboard , monitor, mouse, printer etc. It provides graphical user interface to the users. Window Manager: Window manager handles all types of graphics through which an user will interact with the system. Window manager provides graphics of buttons, borders, colours of background etc .